If you think it’s tough finding a house to buy in Las Vegas, your backup plan may not prove any easier. 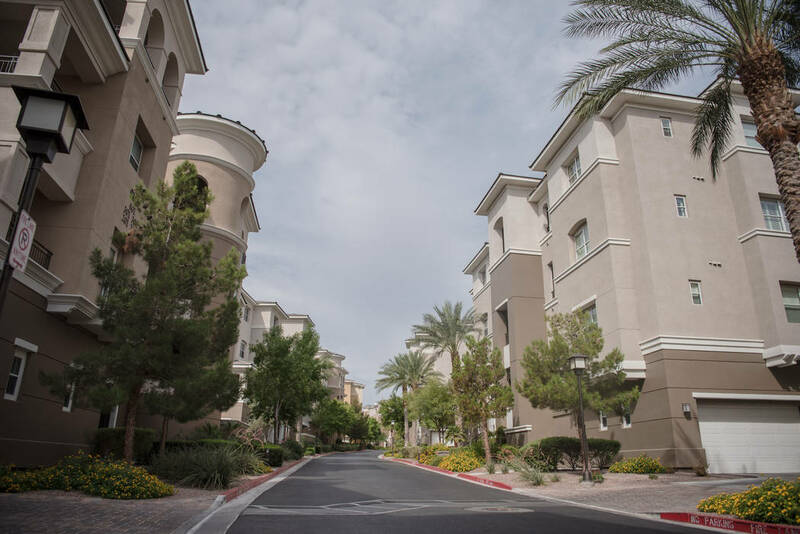 The inventory of available condos and townhomes in Southern Nevada is falling at an even faster pace than that of single-family houses. Prices are rising almost twice as fast, as well, and the homes are selling at a more rapid clip, market data show. 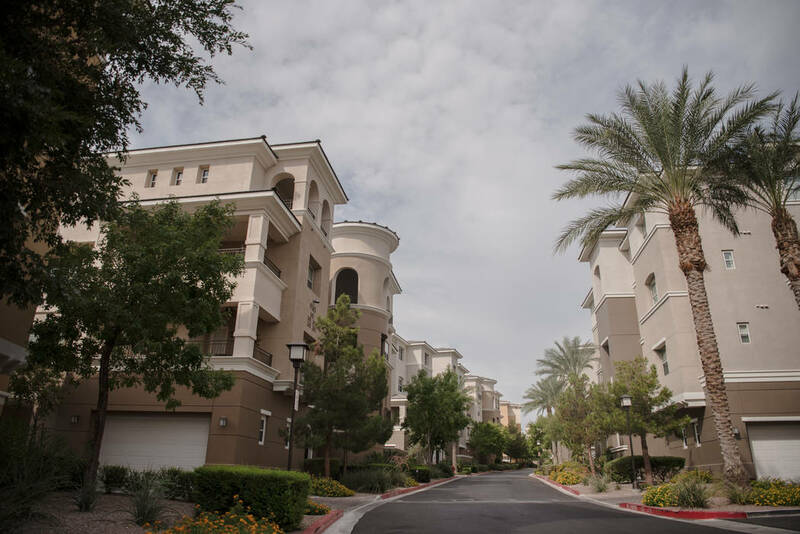 There were 625 condos and townhouses on the market without offers at the end of July, down 48 percent from a year earlier, compared with 4,995 available single-family homes, down 32 percent, according to the Greater Las Vegas Association of Realtors, which pulls data from its resale-heavy listing service. The median sales price of condos and townhomes was up 20 percent year-over-year in July, versus 10.2 percent for single-family houses. Also, nearly 75 percent of attached homes that sold last month had been on the market for 30 days or less, compared with 67 percent of single-family dwellings, the GLVAR reported. 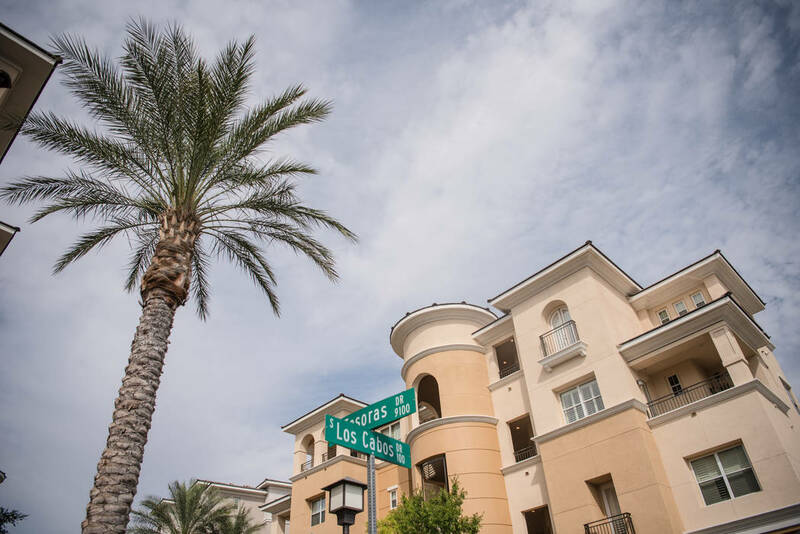 In Las Vegas, the market for resales and new homes is dominated by single-family properties and won’t be overtaken by condos anytime soon, if ever. But amid sliding inventory and rising prices of the more popular option, a number of buyers are “migrating” to attached homes, said Brian Gordon, co-owner of research and consulting firm Applied Analysis. Condos typically are less expensive and, he added, a “low-maintenance” alternative, as you don’t have your own landscaping or pool, for instance. In the construction market, condos and townhouses made up just 4 percent of Clark County’s nearly 8,000 new-home sales last year, according to Home Builders Research, with single-family houses comprising the rest. But condo development seems to be picking up, with at least three projects in various stages in Summerlin alone. William Lyon Homes is building Affinity, a 485-unit complex on Charleston Boulevard at the 215 Beltway. County commissioners this month also approved the company’s plans for a 391-unit project at Grand Canyon Drive and Maule Avenue, near the Wet ‘n’ Wild waterpark. Meanwhile, luxury builder Toll Brothers last month bought the remaining 10 acres of vacant land at Mira Villa, a once-bankrupt condo complex near the JW Marriott. Gary Mayo, a group president for Toll, recently said the company plans to build 103 condos and that he hopes to start construction in six months. Despite condos’ rising prices, they’re still cheaper than the typical home of choice. The median sales price of attached homes was $138,000 last month, compared with $260,000 for single-family dwellings, the GLVAR reported. But, as bargain-hunters know, prices used to be even cheaper. When the market hit bottom in early 2012, after the economy was all but wiped out by the recession, single-family dwellings sold for a median of $118,000. Condos and townhomes, however, traded for a median of just $55,000 — the price of a luxury car. South of the Strip as you get closer to the M Resort, Las Vegas Boulevard is a lonely place, with big tracts of open desert and “for sale” signs sprinkled about. But this quiet stretch of the famed roadway notched a rare big land sale recently by a group that wants to build a big apartment complex. WTI Inc., based in Cupertino, California, closed escrow last month on a 46.6-acre parcel off the west side of Las Vegas Boulevard at Chartan Avenue. It bought the site for about $24.5 million, property records show, or $526,000 an acre. County commissioners in June approved WTI’s plans for a 30-acre, 754-unit rental complex, dubbed The Arch. The group also laid out plans for retail and other commercial uses. WTI did not return a call Friday seeking comment.